WEST WINDSOR – For the sixth consecutive year a Mercer County Community College baseball player has been chosen in the Major League Baseball (MLB) draft, with the selection of catcher Rob Boselli in the 37th round by the Cincinnati Reds. Boselli, a Ventnor native who attended Holy Spirit High School, just completed his collegiate baseball career at nationally-ranked St. John’s University, where he hit .285 and drove in 39 runs over 49 games. At Mercer, Boselli was a First-Team All-Region 19 and First Team Garden State Athletic Conference selection in both his freshman and sophomore years. 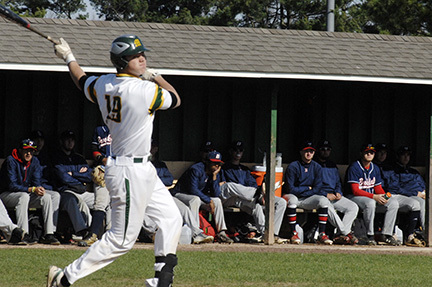 As a sophomore at MCCC, Boselli hit .366 with a .401 on-base percentage, slugging .528 and helped propel the Vikings to the 2016 National Junior College Athletic Association (NJCAA) World Series. Vikings Head Coach Kevin Kerins said Boselli was a key player for the Vikings during the 2015 and 2016 seasons, when the team had a combined record of 89-22, including a Mercer school record 51 wins in 2016 en route to a third place national finish. Copyright © 2018, Mercer County Community College. All Rights Reserved.